AiClay - a Haven of Miniature Food: A 2-carat Bun. Yesterday, I was part of a secret mission entourage to the airport, where my cousin had decided to propose to his girlfriend. 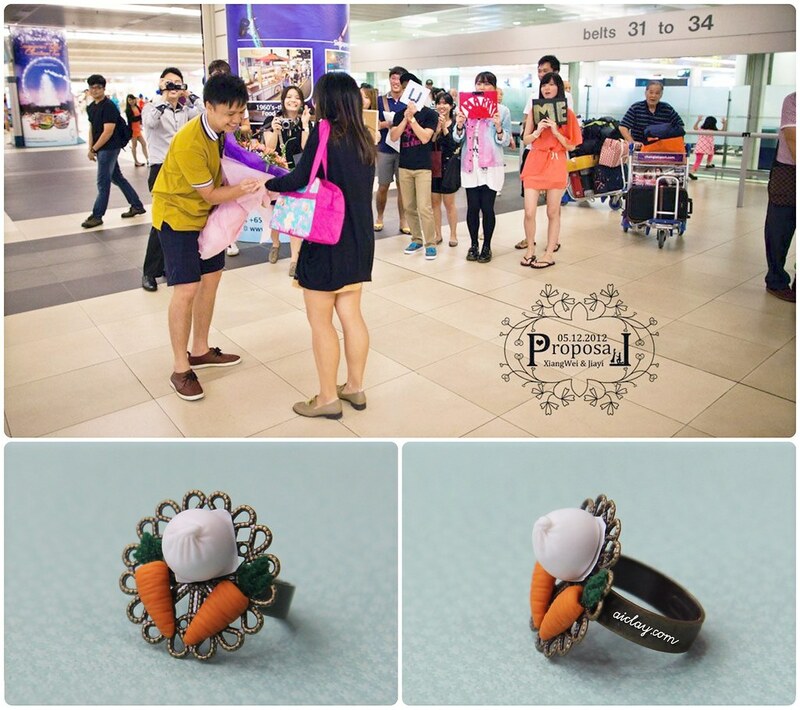 Along with a gorgeous diamond ring, she was also presented with a whimsical AiClay commissioned ring - of one miniature bun and two carrots at the side. Her nickname was Bun, and the carrots were a play on 'carats'. Do join me in wishing them a blissful marriage. Thank you for voting, along with feedback collected from friends and family, I've decided to name the puppy Taro! He's slowly showing his naughty side as the shyness wears off, yikes. Feel free to give me puppy advice, especially when it comes to biting and barking! Subscribe to my twitter/instagram to view more photos/updates of him! I get to be the first to wish cousin Ryo and his fiance Kenji a warm loving marriage forever!